Did you know that with Idea Store membership you can borrow up to 12 items [books, CDs and DVDs], download music, magazines and newspapers as well as audiobooks and eBooks? All for FREE! Visit our Library Charges and Fines page for information the loan periods for books, CDs and DVDs. The catalogue has details of all titles in stock in Tower Hamlets and our London Libraries Consortium partners. You can also renew your library loans and reserve items. Download the Idea Store App to search the catalogue and renew and reserve items quickly and easily. Discover thousands of titles available to borrow from your local Idea Store. Visit our eLibrary to download an exciting selection of eBooks and audiobooks. The Core Collection is a list of books, CDs and DVDs that are in stock at an Idea Store/library; the titles are classic, bestselling or well-regarded titles that should be in stock in any library in the country. Third Thursday of every month, at 6pm. Reading Groups for Everyone celebrates reading groups across the UK and is run by the book loving team at national charity The Reading Agency. 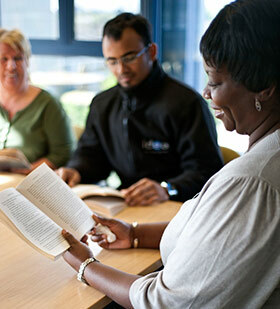 Reading Well Books on Prescription helps you to understand and manage your health and wellbeing using self-help reading. The books are chosen by health experts and people living with the conditions covered and are available to borrow from your local Idea Store. Writeidea, our free annual festival, which celebrates the pleasure of reading, takes place at Idea Store Whitechapel during a weekend in November. Download music free and legally with your Idea Store card and Freegal. Discover easy access to millions of songs, including Sony Music's catalogue of legendary artists and music from 28,000 labels, with music originating from over 80 countries. There is no software to download and there are no digital rights management [DRM] restrictions. Once downloaded, the tracks become yours to keep! The Freegal collection also includes spoken word tracks and music videos. Dicover the latest blockbusters, classics, foreign language and children's movies at your local Idea Store. With Idea Store membership you can borrow up to 12 items for three weeks, including a maximum of 4 audio visual items [CDs and or DVDs]. Loan of DVDs held within Tower Hamlets is free of charge and you can borrow items for 1 week. Please note: reservations for Tower Hamlets CDs and DVDs are free, however there is a premium charge of £5.00 for each item reserved from outside the borough. 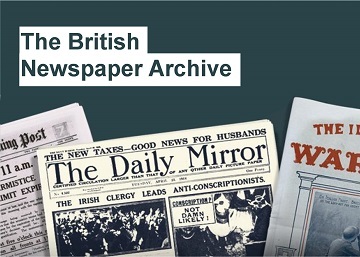 Download complete digital editions of popular newspapers and magazines from the UK and around the world with PressReader and RBdigital. You see the exact same material you get in print‚ plus some issues include features like video, audio and live links. Comics for all ages, available via RBDigital, include Marvel's Superman, Avengers, X-Men and other major titles. Write with confidence. Learn the art of creative writing, learn different techniques and exercises to develop character, dialogue, plot and place. B4016, Tuesdays from 15 January 2019, 6.30 - 8.30pm, 10 weeks, Idea Store Bow, £90, £25 concessionary. B3987, Wednesdays from 16 January 2019, 6.30 - 8.30pm, 10 weeks, Idea Store Canary Wharf, £90, £25 concessionary. B3038, Thursdays from 17 January 2019, 4.00 - 6.00pm, 10 weeks, Idea Store Whitechapel, £90, £25 concessionary. C3988, Tuesdays from 23 April 2019, 6.30 - 8.30pm, 10 weeks, Idea Store Bow, £90, £25 concessionary. C4023, Wednesdays from 24 April 2019, 6.30 - 8.30pm, 10 weeks, Idea Store Canary Wharf, £90, £25 concessionary. C3039 Thursdays from 25 April 2019, 4.00 - 6.00pm, 10 weeks,Idea Store Whitechapel, £90, £25 concessionary. B4068, Thursdays from 17 January 2019, 6.30 - 8.30pm, 10 weeks,Idea Store Whitechapel, £90, £25 concessionary. C4069, Thursdays from 25 April 2019, 6.30 - 8.30pm, 10 weeks,Idea Store Whitechapel, £90, £25 concessionary. With Bookbreak at all idea Stores, you can sit back and relax whilst listening to stories and poems, or join in with the reading and conversation. Find out the days and times in your local Store.